I think trivia games are fun, and I love the topic of small business, so I decided that I’d merge the two into an online game of #SmallBizTrivia to be played this summer on Fridays on Twitter. The plan is to provide a couple of trivia questions on Fridays to quiz everyone’s knowledge about small business in exchange for small prizes (that will surely get bigger as time progresses). Stay tuned to the SmallBizTrivia Twitter account for updates with the rules and to find out when the inaugural game will be played, and keep an eye out for the #SmallBizTrivia hashtag on Twitter. 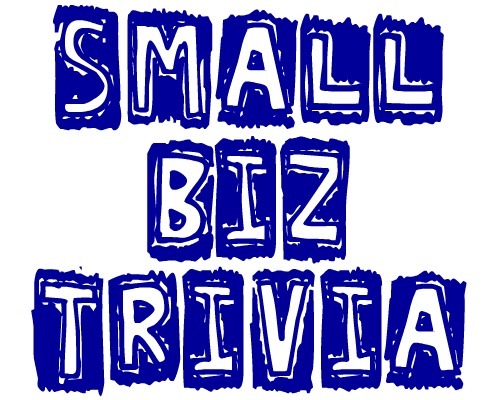 Are you ready for Small Business Trivia?